Constant Flux Christmas: Pattern Release! Back in July, I promised to release this pattern to the public when the snow began to fly. This past weekend, we had our very first snow of the season here in midcoast Maine, which happened to be perfect timing since today I’m pleased to present Constant Flux Christmas, a pattern hack on my original Constant Flux pattern. When playing around with color placement on my Constant Flux pattern, I realized that by merging large sections, an entirely new pattern emerged–one that looks to me like a modern take on a wreath and star. I decided to make it easy and adjusted the pattern templates to reflect this heavily altered version, and thus Constant Flux Christmas was born. This is a fun, beginner-friendly pattern that would look great not only in traditional colors, but also in any other colors you throw its way! I’ll be sharing photos of all of the gorgeous versions sewn up by my pattern testers so you can see for yourself! The pattern includes printable foundation templates, cutting suggestions, general foundation paper piecing tips, clear assembly instructions, and a coloring page to help you plan your project. There are no tricky angles, odd shapes, or difficult joins, yet the design options are boundless. Constant Flux Christmas is now available for digital download both on Craftsy and in my Payhip shop for those of you in the EU. This week it will be available for an introductory price of $5, after which it will return to its standard price. ‘Tis the season for adding one more holiday sew to your list, right? With this pattern, I finally got brave and put a call out for pattern testers on Instagram. 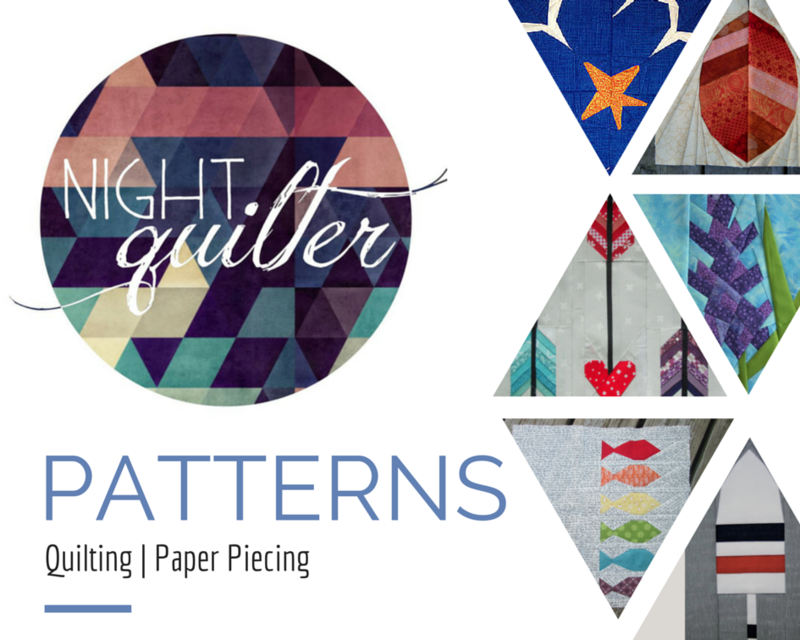 I was amazed by the response, and within 24 hours had an eager and skillful crew of quilters ranging from absolute foundation paper piecing beginner to experienced, ready to tackle Constant Flux Christmas and provide feedback. Future pattern testing groups will be quite a bit smaller, but there was so much excitement, I accepted quite a few! Every single one of them did an amazing job, sewed up the mini quilt in less than a week (some were finished the first day! ), and provided excellent feedback on ways to make the pattern even better. I’m so grateful for all of them, and am excited to show you all of their different versions. Some stuck to the traditional red, green, and gold colorway, using both consistent fabrics throughout and scrappy versions. Constant Flux Christmas quilting detail by Karen Weiderman. Pattern tested by Katharine Vonbibra. Love that EPP center!!! Some of the pattern testers tried out different color palettes, and I really love the way this pattern looks in all of them! Pattern tested by Cheryl Kirk. I can’t wait to see Constant Flux Christmas done up in your fabric choices! Get yours on Craftsy and in my Payhip shop for those of you in the EU. Enjoy, and happy holidays! I’ll be linking up to Let’s Bee Social, Finish it up Friday, and TGIFF. Flimsy finished are double the fun when they come with a pattern release!